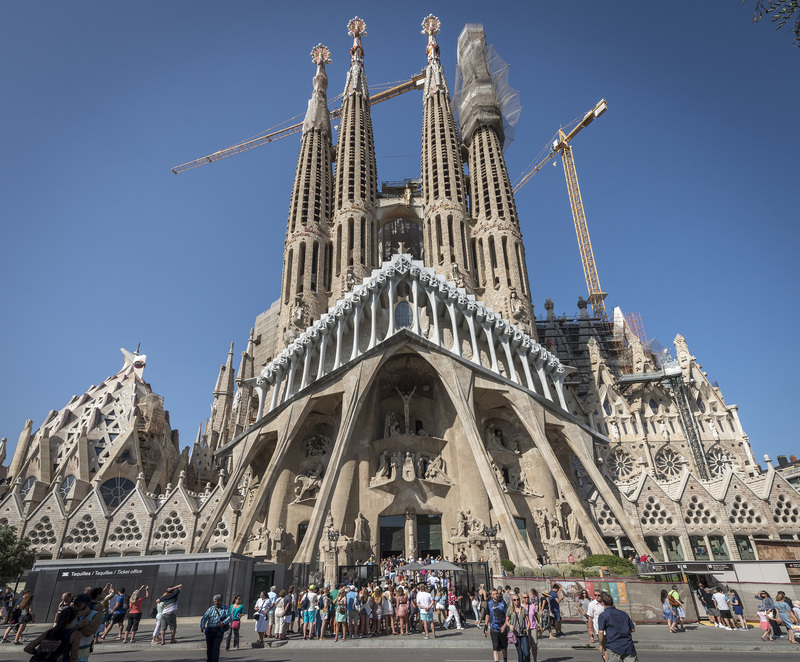 A 135-year-old unfinished church that attracts more than 4.5 million visitors a year and serves as a must-see destination for tourists of the world visiting Barcelona, Spain, this is the miracle of “Sagrada Familia” built by Spanish architect Antoni Gaudi (1852-1926). Gaudi, known as the “God’s Architect,” is adept at creating the great magnificent architectures using his unique creativity and experimentations. Inspired by nature and proved by science, his works have incorporated the various curvatures of the world around us to break free of the angular limitations of traditional designs, well before the modern era of the digitally created buildings. Architecture, art, and science are the inseparable elements of Gaudi’s works. Models are his best creative tools and architectures are his greatest experimentation results. This world-touring exhibition “God’s Architect: The 165th Anniversary of Gaudi” features 63 architecture models, including five pieces of large-scale models measuring over 3m tall, from the collections of Sagrada Familia, National Art Museum of Catalonia, the Catalunya-La Pedrera Foundation in Casa Milà, Casa Vicens, and private collectors. The interactive exhibit is a special feature produced for Taiwan and visitors could get a hands-on experience with the experimentation models to learn about the architectural structures of Gaudi. In addition, virtual creations featuring light and shadows, new media interactivity, and large-scale installation from local art teams are also presented as a tribute to the renowned architect. Gaudi’s unique style of naturalism is perfected through his exposure to architecture, craftsmanship, and science by virtue of his experience in architecture school lectures and working with assistant architects. He never married and had dedicated his entire life to architecture. In 1926, Gaudi was hit by a trolley car while trying to raise funds near Sagrada Familia, and died in the hospital three day later due to excessive loss of blood. 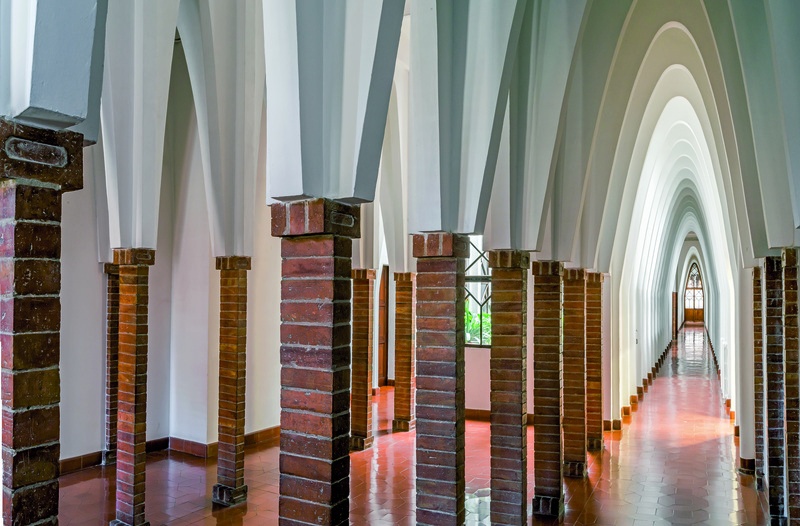 The city of Barcelona in Gaudi’s era was going through a phase of transformation with its checkerboard city planning, gas and electricity pipelines running through the tens of millions of homes, and the emergence of large-scale metalwork buildings. As such, art nouveau and modernism were the popular vocabularies of the time. In the beginning, Gaudi’s architectures were infused with an oriental style where he mixed traditional Islamic ornaments with the high walls of the Gothic buildings. Around the turn of the 19th century, Gaudi created his unique naturalism in the “catenary arches” using sandbags and ropes to reproduce the natural elements based on his experiments with physics. Artistic elements including forging, mosaic, and sculptures were also naturally blended into his works to pioneer the upcoming organic and digital designs of contemporary architectures. The exhibit showcases the three complete phases of Gaudi’s architectures: oriental beginnings, modernism transition, and naturalism maturity. Representative models of his works (including the six that are listed as world heritage sites) are selected from each phase to demonstrate his rich and colorful architectural vocabulary with the physical models, on-site simulation, and new media art creations. Gaudi took over the construction project of Sagrada Familia at the age of 31 and then fully dedicated more than half of his life on this masterpiece while taking experience from his other architectural works. The complex engineering of Sagrada Familia can be identified in Gaudi’s quote, “the tetrahedron is the synthesis of space, the hyperboloid represents light, and the helicoid – motion.” In addition, the height of the church is designed to not exceed 172.5m, which is also the altitude of the Montjuïc hill that overlooks the city of Barcelona over the past two thousand years. Sagrada Familia, the church that is still under construction after 135 years, represents Gaudi’s devotion to his faith in the Roman Catholics as well as his love for the city of Barcelona. The exhibit is personally produced by the director of Sagrada Familia and the physical structure of the church is as demonstrated by the five principles of physics. 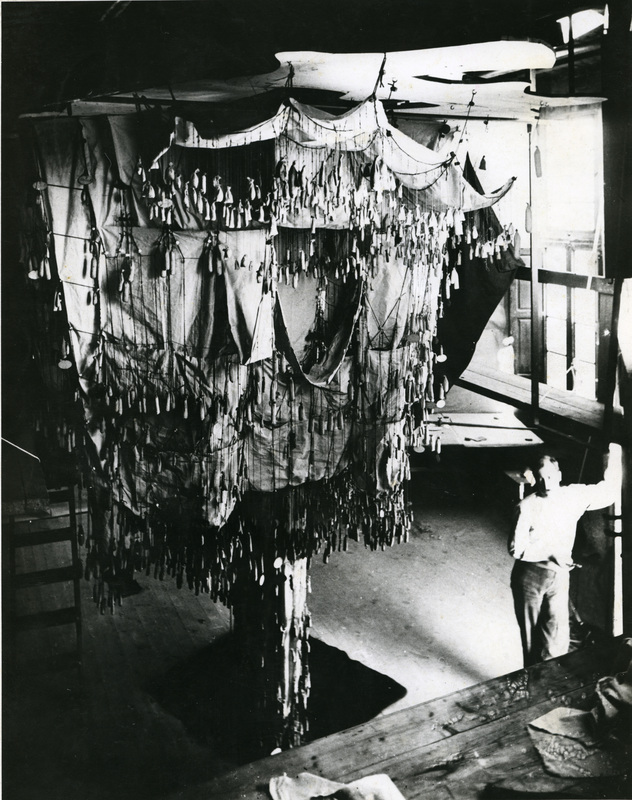 Visitors can witness the experimentation trajectory and miraculous construction of Sagrada Familia from the 20 odd pieces of models in the collection of Sagrada Familia. Mosaic salamander in Park Güell, alien chimneys of Casa Milà, and the fairytale-like rooftop of Palau Güell… these are the unexpected visual surprises of Gaudi’s works created in a variety of colors, materials, and designs. However, the practicality of Gaudi’s shapes, structures, functionality, and décors underneath the gorgeous decorations would reveal the inseparable existence of his designs. Gaudi likes to use different experiments in his designs to verify the unrestrained and pioneering ideas recreated in his architectures. 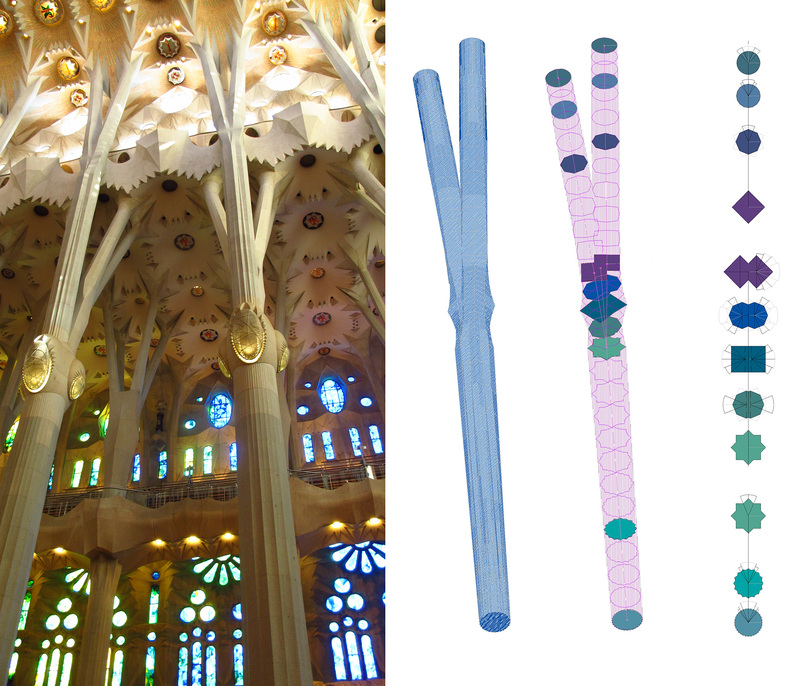 The interactive exhibits provide a hands-on experience for the 3D geometry, structural mechanics, application of mosaics, and natural elements featured in Gaudi’s architectures.